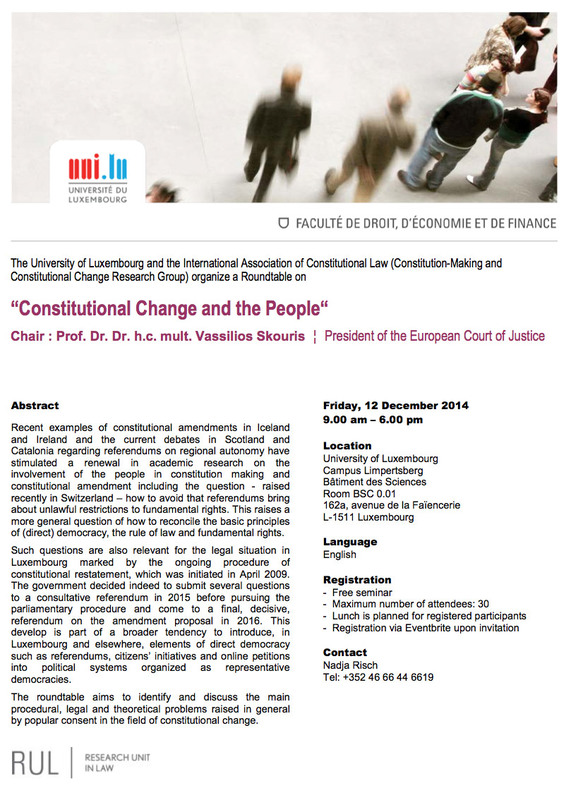 The University of Luxembourg and the International Association of Constitutional Law (Constitution-Making and Constitutional Change Research Group) organize a Roundtable on “Constitutional Change and the People“ on Friday, 12 December 2014 in Luxembourg. 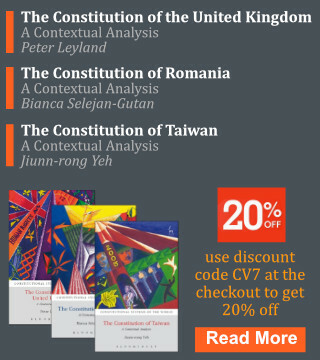 Recent examples of constitutional amendments in Iceland and Ireland and the current debates in Scotland and Catalonia regarding referendums on regional autonomy have stimulated a renewal in academic research on the involvement of the people in constitution making and constitutional amendment including the question – raised recently in Switzerland – how to avoid that referendums bring about unlawful restrictions to fundamental rights. This raises a more general question of how to reconcile the basic principles of (direct) democracy, the rule of law and fundamental rights. Such questions are also relevant for the legal situation in Luxembourg marked by the ongoing procedure of constitutional restatement, which was initiated in April 2009. The government decided indeed to submit several questions to a consultative referendum in 2015 before pursuing the parliamentary procedure and come to a final, decisive, referendum on the amendment proposal in 2016. This develop is part of a broader tendency to introduce, in Luxembourg and elsewhere, elements of direct democracy such as referendums, citizens’ initiatives and online petitions into political systems organized as representative democracies. 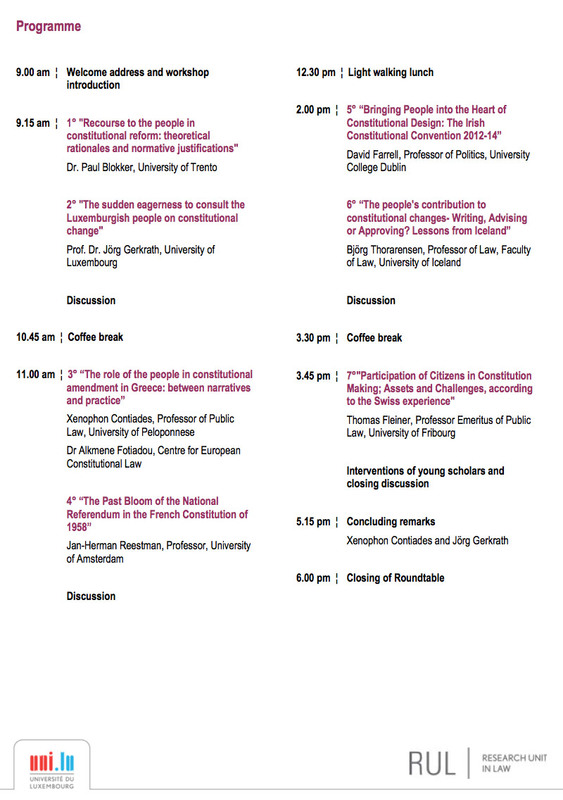 The roundtable aims to identify and discuss the main procedural, legal and theoretical problems raised in general by popular consent in the field of constitutional change.